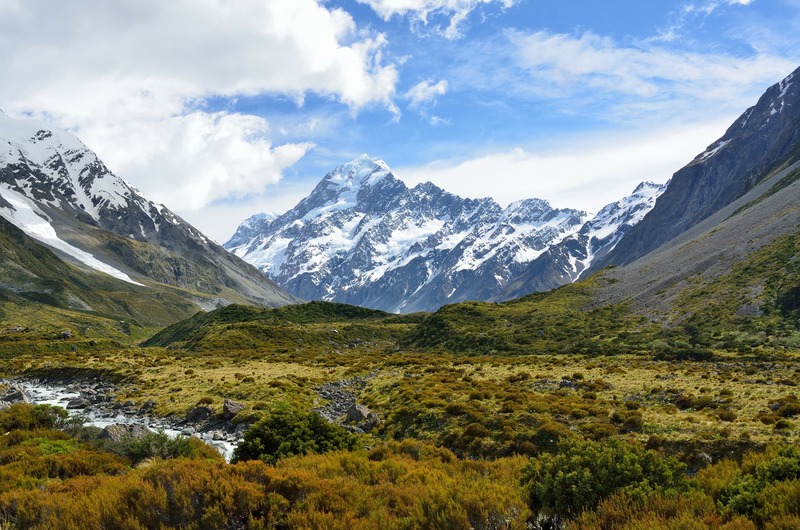 Killing predators to reduce their impact is an important part of wildlife conservation in New Zealand. It delivers good outcomes for biodiversity, especially for our birds and reptiles. It does not logically or scientifically follow, however, that attempting to eradicate predators from ALL of New Zealand is also a good idea. Indeed, some scientists think that a national predator-free goal is a very bad idea. John Parkes has a long pedigree in the science and business of wildlife eradication. He once worked for New Zealand’s government-funded, Landcare Research Ltd. where he developed world-first technologies and strategies for animal control and eradication. He now operates his own consultancy: Kurahaupo Consulting, out of Christchurch. From there, he has made a business of helping other nations successfully eradicate problem wildlife from their islands. 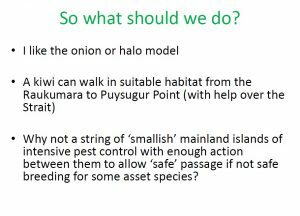 When a scientist with John Parkes’ experience critiques the Predator-Free policy and aspiration currently sweeping New Zealand, we should probably sit up and take notice. Large scale, mainland eradication is not possible with current technologies. Most native species can live and thrive at some level of predation. We should do the ecological science to work out where and when predator suppression is a better strategy than eradication to avoid investing in unnecessary objectives. In NZ, we are good at ridding islands of predators but we have no experience of doing it on inhabited islands. 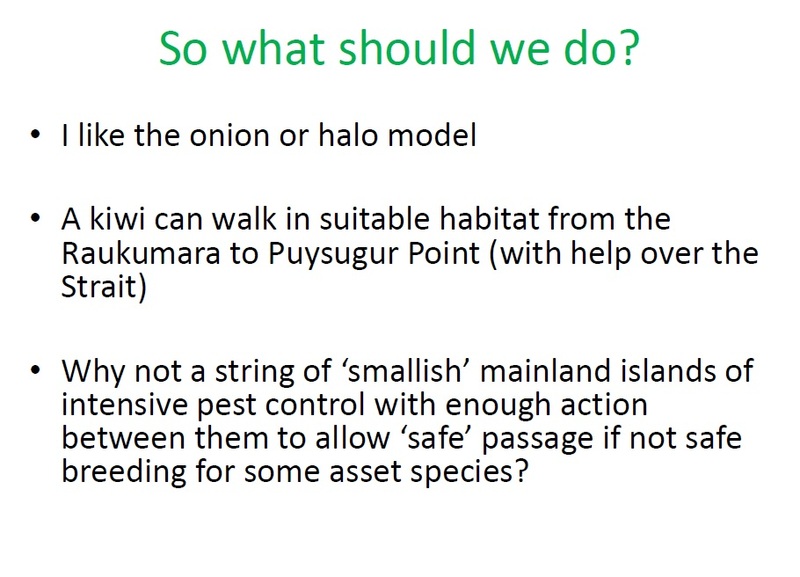 Inhabited islands are a substantially bigger challenge and we have a lot of learning to do yet before we can be successful at eradicating predators from them. It would have been better to propose smaller, more realistic goals and treat them as ‘learning-by-doing’ trails. John also discusses the 2025 interim goals. He points out that there are insufficient islands that meet the interim goal of “eradicating all predators from off-shore island nature reserves”. Of New Zealand’s 616 offshore islands, only 2 are reserves with the target predators and a low re-invasion risk. Both of those islands have kiore – a rat species valued by local iwi. Thus, one of the interim goals is trivial but also could prove to be unacceptable. John also describes an alternative, better approach than Predator-free 2050. John’s adage is that “‘perfect’ is the enemy of the ‘good'”. In this case, aiming to make NZ entirely Predator-free is a distraction from the very much good we could be doing. “Can we cross the desert and reach the oasis or is it just a mirage and we will die trying to reach it? His metaphor for Predator-free 2050 as a mirage and that it would be better if we just focus on doing what we already do but better – “dig a deeper well” – perfectly encapsulates why Predator-free 2050 is a silly and wasteful biodiversity policy with potentially bad impacts on conservation progress. John’s presentation is informative with a lot of other points besides these – worth a deep reading. and his warnings in this Dominion Post article by Nikki MacDonald that “some of the predator-free visions are hallucinations” . Not often NZ scientists speak out against the tide. John Parkes has many colleagues in the billion dollar pest industry so it must be difficult. But this is what is much needed. Whether it will serve to change anything is another matter. 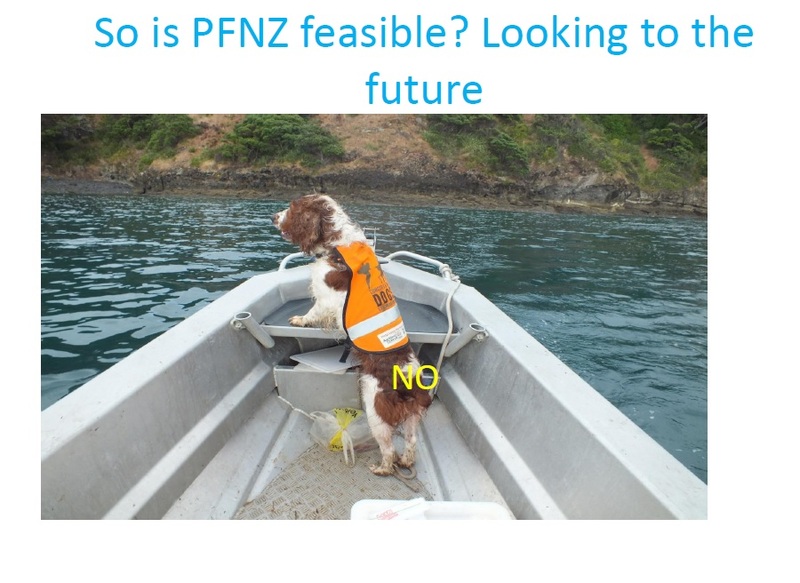 Pfnz by 2050 has gained a strange momentum driven by powerful egos and will be reluctant to acknowledge it’s own Quixotic futility. A real time recent example from a landowner next to a heavily poisoned DoC reserve. A visitor reported seeing a rat in the compost expecting some kind of panic reaction. The reply was: “oh well it’s safe here”. Only when such compassion and understanding is extended to all animals will we begin to comprehend nature properly. At last some common sense about pest free New Zealand. When announced by John Key, I thought to myself here is a politician taking the mickey to the whole country. Anyone from a rural background with any sort of commonsense could have told you that this proposal was absolutely ridiculous, more golden talk from a politician with a gift of the gab, more lies and empty promises (New Zealanders will never be tenants in their own country was another of his). However saying this statement is easy with the current technology. Should science and the public allow it maybe some gene editing techniques, could make the impossible happen. However being realistic I expect there to be possums, stoats, rats , mice and wild cats well past 2050. Where has commonsense gone ? This is the crux of the matter. Some might say that institutional science today is all about investing in unnecessary objectives, investing someone else’s (i.e. public) money and taking a big cut in the process! I believe that something like this is really driving the “Predator Free NZ” movement, simple economics being sold as concern for the environment.